FIFA World Cup 2018 Live Streaming will be provided by the official broadcasters as mentioned below. It’s the 21st edition of world’s most watched sports event, Football World Cup. This time around Russia is hosting the tournament which will be played from June 14, 2018, to July 15, 2018. A total of 32 teams will compete for the title. As announced by FIFA, it will have the most extensive coverage ever with live coverage offered in 190 different countries around the globe. The tournament will kick start with the traditional opening ceremony to be taken place prior to the tournament opener game Russia vs Saudi Arabia on June 14, 2018 at the Luzhniki Stadium, Moscow. Then, we will get to watch 3 matches every day at three different times. Here’s the complete fixture list of the tournament. FIFA wants to make sure that every body gets to watch the action so it has asked and encouraged tv networks to broadcast the games online and mobiles too. Let’s get into the details on how can you watch the world cup live online via official portals. Out of all of them, the best way is to buy a VPN and use UK or US ip address to access BBC / ITV iplayer online streams from UK or FoxSports online coverage from the United States. The benefit is that you just need to pay like $5 to buy VPN and accessing BBC/ITV UK online streams is free of cost. The second best option is getting the free online streams available on many dedicated sports streaming sites. But, we won’t recomment you to go with this option for such a high profile event. Such free online streams are the last resort. It’s because of the following reasons – laggy, having harmful and intrusive pop-ads, and rarely any stream lasts. Also, you won’t be getting any high picture quality. It’s because of a number of people try to access the free live streams. So, you can now consider which is the best method for you – going through all of this hassale for every game or just buying an VPN for $5 and set IP to UK and access the official live streams via BBC or ITV iplayer. 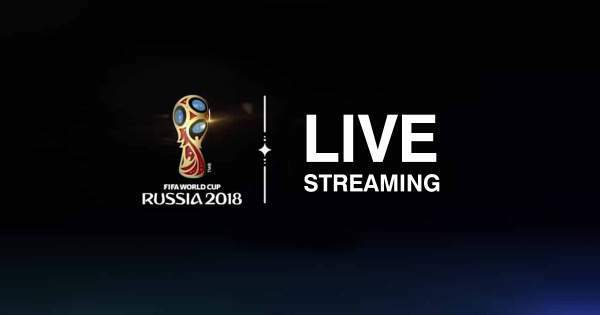 Hope you, now, get the best info on how can you watch fifa world cup 2018 live streaming online.